OMG Posters! 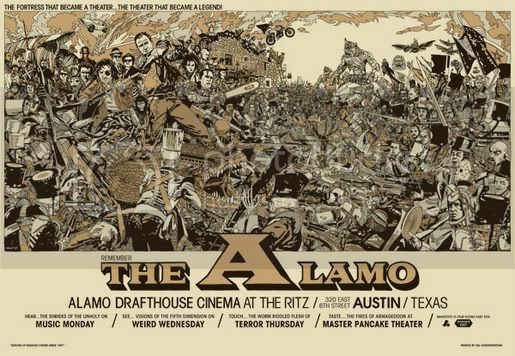 » Archive Tyler Stout's Alamo Drafthouse Poster Redux - OMG Posters! 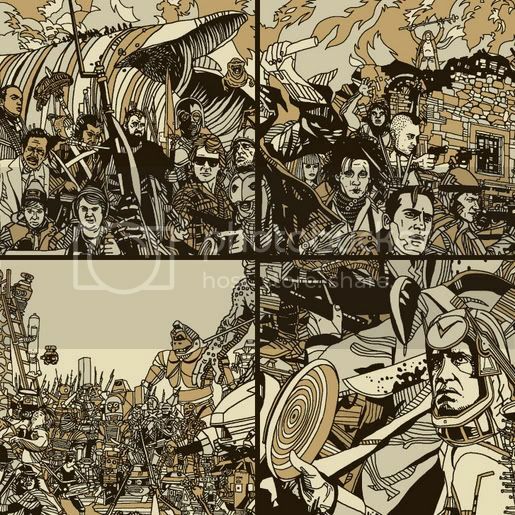 Last year, Tyler Stout threw down one of the most amazing movie-related posters I’ve ever seen. It sold out quickly through Mondotees, yadda yadda. When the Alamo Drafthouse moved to their new location, they asked Tyler to spice it up a bit for a new edition. He added over 30 new figures into the scene. If you don’t have the first edition, do yourself a favor and grab this. Yes, those are all hand-drawn movie characters. Yes, it rules. It is 24″ x 36″ and printed with metallic inks. The price is only $30. Visit Mondotees.com. Did he have to get permission or the rights to use all those characters? Just curius, I love the Tron guy, makes me want to watch the movie again lol.